For sale: RAB Ascent down jacket. Size "large" (RAB's fit is quite slim, I normally wear medium, but this fits me well and is quite long, keeping your bum nice and warm). Weight 895 grams. 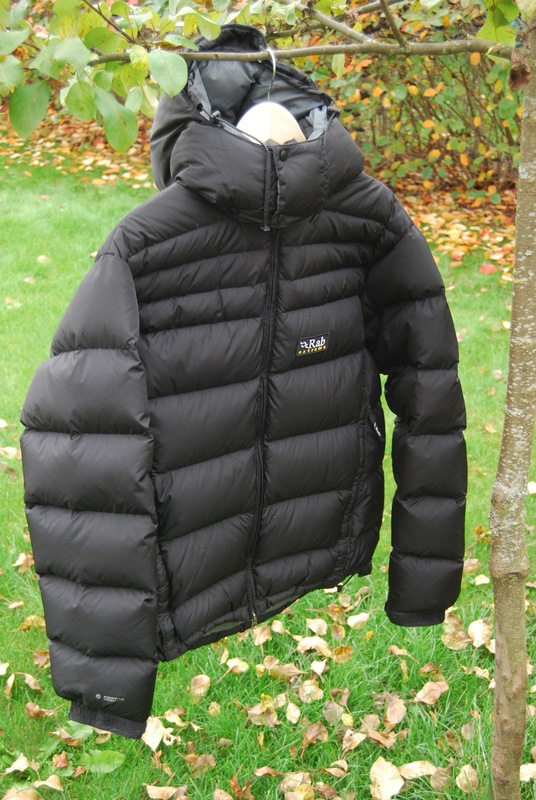 It's not a superlight jacket, it's made with tough materials that stand up well to everyday winter use as well as for ice climbing or winter camping trips at the weekend. Hood fits over a climbing helmet and has a good, wired brim. Supplied to me for reviewing, used for that purpose but has been very little used since finishing the review; so in excellent condition.